Parasols aren't just for shading the sun! You can use them as a chic and budget-savvy alternative to a bouquet for your bridesmaids or for your guests during an outdoor wedding. 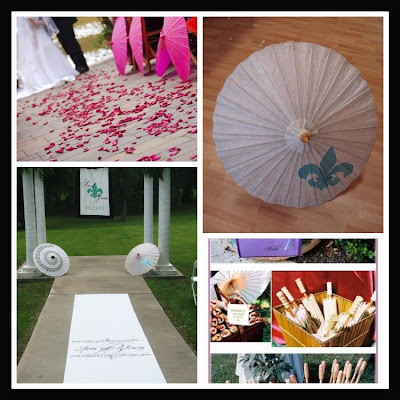 Brittiny Mays is Chief Designer at Amour Toujours Event Design. She is available for weddings in Louisiana, Mississippi, and Tennessee. Mo'Nique must be doing something right. The actress/comedienne is hitting the airwaves with yet another project. This time it's her very own late-night program airing every weeknight. The Mo'nique Show premieres one week from today (that's Monday, October 5th) on BET. She promises lots of laughs, celebrity guests and musical performances. We've talked before about the best wedding songs and even the most popular wedding songs. But, believe it or not, there are wedding songs that are SO WRONG for tying the knot that bands and deejays are blown away by how often they're suggested. The list of these songs is now so solid that many brides-to-be are using the songs to create a "do NOT playlist". Now when we say a song is one of the worst, there are always exceptions. For example, maybe a couple had a rocky road to the alter and... well. Nah, we still can't see it. Tell us what you think about the songs found HERE, HERE and HERE. What songs do you think should be added to the list? In my last blog post, I spoke about the importance of the “day of” coordinator to your wedding planning team. Now, I want to talk about the benefits of hiring a planner – not necessarily to plan every single detail of your wedding- but in the very least, to give you advice and guidance throughout the entire planning process. The only way I know to tell you about the benefits of having a planner, is to tell you the value I bring to my own Brides and Grooms – through their words. Wedding planners sometimes have the ability to make magical things happen with just one phone call or email – like a super hero! It’s pretty funny that some people will not respond to a Bride after a week, but will respond to me right away. I often wonder why that is – since the Bride is their client and not me. I think it’s because I bring more repeat business. Whether it be bad, good or indifferent – it’s true. It’s totally not my style to push people around – however, when someone doesn’t respond to one of my Brides…they know it. Plus, if people want my business, than they have to show me how they will go above and beyond for my couples. Just last week, a Bride wrote me an email and said – “thank you for whatever you did that made them respond”. Don’t worry, I know that I’m not “all powerful”, but I love it when my vendors make me feel that way! It’s an ego booster! I have no alliances to anyone, with the exception of the two people that hire me – the Bride and Groom. It’s my job to get you what you want. I had my wedding years ago. It was wonderful, but it’s over. It’s not my job to plan my wedding, but to take your vision and make it a reality. We are here to advocate for you. We negotiate with vendors, whether they are our suggestion or yours. We help to smooth things over with your family and friends. We have been the “fall guys” before, and we will be the “fall guys” again! A few of my couples have asked me to talk to vendors when they are having a difficult time getting their points across. They ask me intervene. One advantage of having a planner throughout the entire process is that you are able to take advantage of their years of “networking” hard work. A good planner will have many connections within the community – which allows you access to the best vendors in the area. If the planner is well respected in the community, the vendors will want to go above and beyond to impress you and your family – thereby impressing the planner which equals “repeat business”. At one of my recent weddings, the Bride and Groom contracted a videographer and opted for associate coverage (no assistant). On the day of the wedding, the owner showed up with an assistant. Not bad! Above and beyond! Experience is one of the most important aspects. A good planner will have years of experience. Having done umpteen more weddings than the Bride and Groom - he/she knows the ropes and knows how to avoid the pitfalls of “wedding planning”. He /she will ensure that your process is smooth and stress free. Your planner will make sure all the nuances of wedding planning are taken care of with professionalism. Additionally, I totally believe that time is money. A planner will save you time and stress which will be worth his/her weight in gold. • Be selective of your guest list. Include close family members and friends. 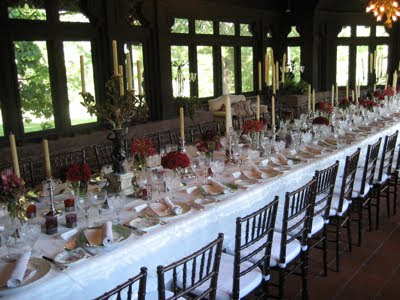 • Find unique venues such as barns, art galleries, studios and homes instead of large, expensive ballrooms. 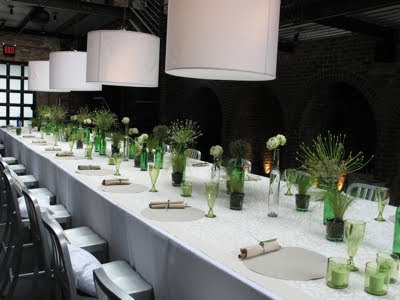 • Chose communal tables (long table seating) verses individual 8x10 tables. • Use candles to substitute pin lighting. • Stick to some classics. Utilize a clean, floor length and high quality cotton tablecloth. • To add flavor, use elongated mirror runners and different textures to create a mood. • Flowers are a key element for weddings. Work with creative floral designers to guide you through this process. • Chose menus that will reflect your way of eating. 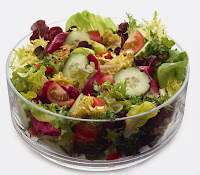 Serve simpler and healthier dishes instead of heavy meals and have them sampled. • Create a signature cocktail. It is more fun and original than an open bar. 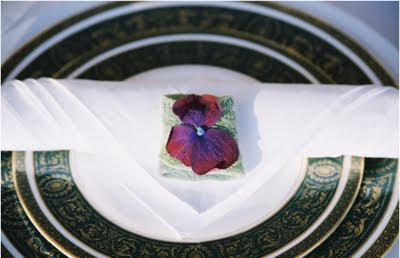 • Lastly, simple elegant weddings require good taste and vision. Consult with professionals for ideas. For more information about design expert Minoo Hersini, visit Au Ciel Design Studio. I really like this black, white, and green board. 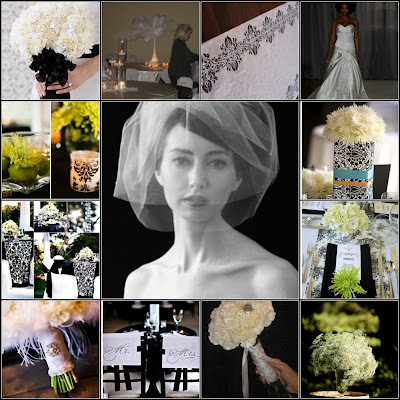 I call it formal with a twist because of the formality of the black and white, in addition to the lime green accents. You will find that your photographer and your videographer are two very important members of your wedding team. They will capture the images that serve as your memories. It’s very important that you are comfortable with both of these vendors - as being uncomfortable does show in the final product. When interviewing potential vendors, make sure that you like not only their style, but that they work well with you and with others - making the day successful for all involved. In my experience, it seems that couples know, very well, the importance of great photographs, but are more iffy about the videography portion. In overwhelming numbers, they feel that photographs will be enough and they do not need video. I wanted to use this blog not only as a shout-out to all my videography friends, but also to stress the importance your wedding video in re-creating those special moments and events that take place on your wedding day. After all, you not only invest money - but more importantly, even more time in planning your wedding. The day goes so fast, it’s important that it is documented fully with professionalism and expertise. 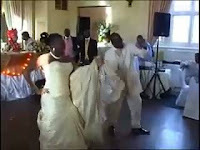 I think the most value to a wedding video, is that it gives sound and words to the day. For me, that is what makes my video unique You can hear the words of your ceremony - the readings, the vows - the tears and smiles. You are able to see the movement of the dances. All of these real experiences help you to relive the entire day from start to finish. Additionally, you see and hear special things that you missed on your wedding day. I cannot express enough how quickly the day goes. 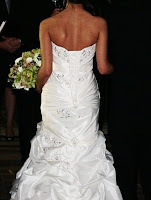 Your wedding day is a whirlwind - and it seems that it ends as quickly as it started. Most importantly, you see and hear those friends, family members and loved ones who have given you the greatest gift - they have traveled near and far to be with you on your wedding day. I interviewed two videographers about why the video portion is so important. Click here to read what they had to say. This Labor Day weekend, we're trying to squeeze the last bit of sunshine out of Summer before it turns into something else. 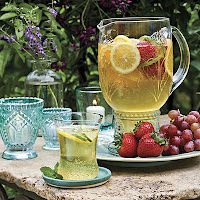 We spotted this fruity recipe for white sangria at MomTrends and thought it would be perfect. Add the fruit to a large pitcher. Pour in sparkling wine and apple juice. Refrigerate at least two hours (overnight is better) to draw out sweetness and aromas of fruit. When ready to serve, add club soda, and stir. Spoon some fruit pieces into glasses filled with ice, and pour. Is this a major challenge for anyone else? At times, I find that sticking to a regimen when everyone else is eating and having a great time a major downer. We recently celebrated a family birthday with lots of cake and goodies. And not for one day either. Oh, no. Our cup runneth over for several days afterward and we did indulge. But once I had the good sense to start spreading the wealth, by giving the goodies away, I managed to get back on track without too much damage to my overall goal. What do you do to stay on track during a big celebration or get back on track afterwards? Of course this is part of the 50 Million Pound challenge we began earlier this year. I'd love to hear about how the rest of you are doing with your goals!